Two works from two great theologians have been gathered into this one book. "The Mind's Road to God" "has been recognized by all serious historians of philosophy as one of the shorter masterpieces of medieval philosophy." - Introduction of "The Mind's Road to God." 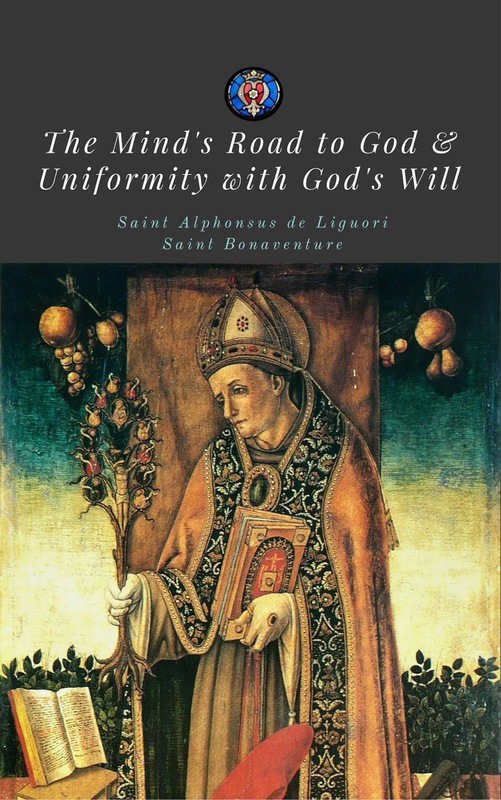 "Uniformity with God's Will," "bears the stamp of Alphonsian simplicity of style and solidity of doctrine. Moreover the instances he cites from the lives of the saints have a gentle graciousness and contain a fragrance that is redolent of the Fioretti of St. Francis of Assisi." - Preface of "Uniformity with God's Will." Saint Bonaventure is a Doctor of the Church and is also known as the Seraphic Doctor. Saint Alphonsus Maria de' Liguori also wrote The Glories of Mary and The Way of the Cross.